Looking for a Steel Building for sale or help in choosing what to buy? 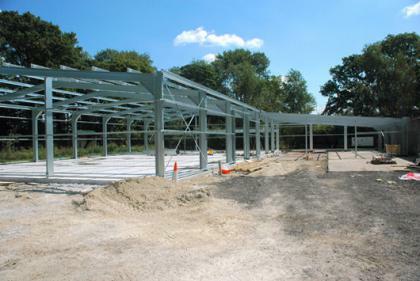 Verified Steel Buildings is the place to start your hunt for a new Steel Building. Our network of leading steel buildings suppliers in the UK is ready and waiting to help you get the best steel building or steel construction for your budget. Our online steel building quotation system means that you don't have to chase around different steel buildings suppliers. One form, one click and you'll get fast quotes and up to the minute prices from the suppliers best able to deliver your steel building for the purpose you are looking for. The more information you can provide when filling in our steel building quote sheet, the better we can tailor the response you receive. Are you looking for a steel building for storage or as a workspace, kennels or stables or will it just house machinery or even be used as an aircraft hanger? What type of doors and access do you need? Should your steel building need insulation and windows? Are you looking to install mezzanine floors or shelving racks, or office space? Verified Steel Buildings has an established network of trusted steel building suppliers that we have vetted and worked with in the past, but we are open to new suppliers. If you would like to become part of our network please get in contact via our contact form. As a chosen supplier you can be included in our featured suppliers directory and sign up for leads that best meet your product or service speciality or geography. Verified customers can leave reviews and write reports and provide you with feedback on the steel buildings and the planning and installation services that you provide. If your business provides finance for steel buildings such as business loans or residential mortgages, or electrical or heating services, or factors like access security, alarm monitoring or stock management systems then you can partner with Verified Steel Buildings. We want to help our customers get a complete service from quality suppliers for all the parts of the planning, construction and maintenance of steel buildings in one easy convenient place. We have high standards, but if you would like to be part of our extended network please contact us.